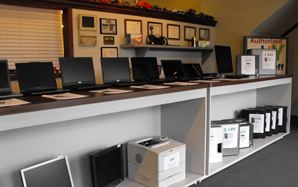 The DaytonIT Computer Shop specializes in Laptop, Notebook and Netbook repair service. 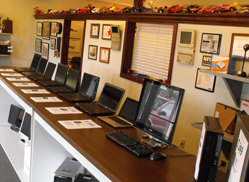 Repairing Apple MacBook, Acer, Compaq, Dell, Gateway, HP, IBM, Lenovo and Toshiba Laptops. 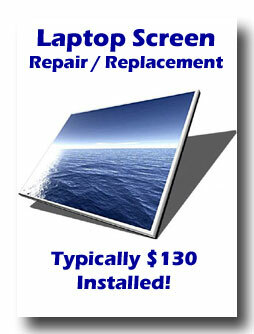 Trust us, we can repair your laptop, notebook or netbook fast and economical. And YES We Repair Apple MacBook Pro Screens! 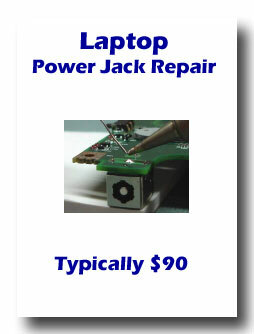 Start using your Laptop Again, we can fix it. Don't put it off any longer! Call Us Now! This entire process takes several hours in our shop. Typically you would plan on 2-3 days in our shop. $75 - Hard Drive Erase and Complete Reload of your Windows. Would you like to get your computer running as fast as it did when you first got it? Some Virus and Malware problems or simply un-fixable. Drop off your computer along with your complete set of Windows and Mfg Restore disks that came with your computer and we will: backup your common data files if possible; run the ’Restore’ process that erases your hard drive and completely reloads your Windows; reinstall all programs that came with the computer; and then restore your common data files. The Good News is that all problems get erased from your computer, The Bad News is that some programs and data that you have added may get erased from your computer and need to be reinstalled. However, the process can still be very rewarding!